"Stan & Ollie" will focus on the highs and lows of the iconic Stan Laurel & Oliver Hardy and their now-legendary 1953 tour. 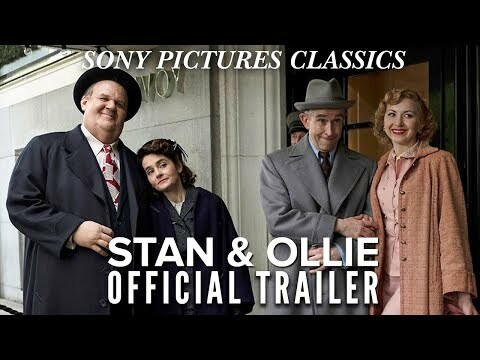 Stan & Ollie was released on 100d ago in the UK and the US. Based on 14 Stan & Ollie Cinema reviews, Stan & Ollie gets an average Cinema review score of 76. The score for all versions is 76 based on a total of 14 reviews. One of the most delightful films of the year. “Stan & Ollie” is full of tender moments between the men and their wives, but it saves its loveliest moment for the men. Portraying Laurel and Hardy's final comic collaboration with bittersweet affection, Jon S. Baird's film is a laid-back, gamely performed tribute. Steve Coogan and John C. Reilly play iconic comic duo Stan Laurel and Oliver Hardy in this film directed by Jon S. Baird. Baird and screenwriter Jeff Pope clearly love Laurel and Hardy, and this love is both Stan & Ollie‘s great liability and chief strength.